Summer is a great time for swimming and partying. How about holding a pool party to enjoy two things at the same time? 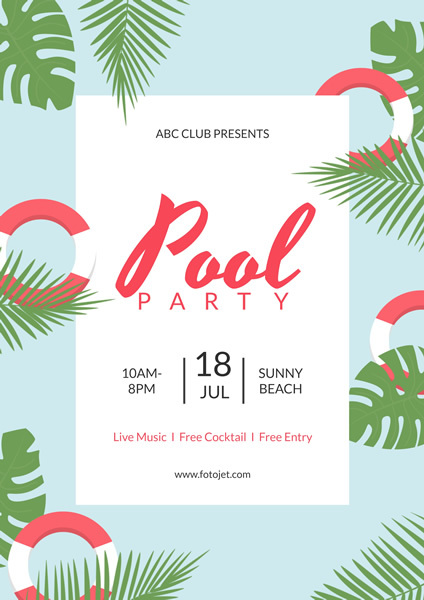 Get the party details across in a special way as fun and cool-looking as the event with this well-designed pool party poster template. Just add the location, date, and other essential details of the pool party using the customization tools. The viewers may be surprised at these special summer party posters and excited to dive into your pool to celebrate this dazzling season.